Pumpmaster 760 Kit W/Scope & Accessories | BUDK.com - Knives & Swords At The Lowest Prices! You’ll be ready for anything with this Pumpmaster 760 BB/pellet gun kit! It shoots up to 200 feet per second. 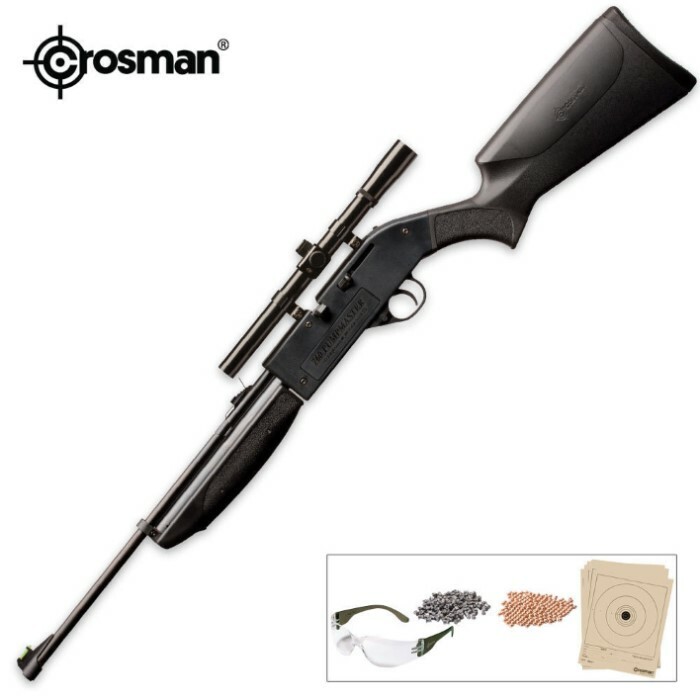 The kit includes a 4 x 15mm scope, 100 premium copperhead BBs, 100 pellets, shooting safety glasses and five paper targets. this rifle is awesome if you want a good shooter but dont want to spend alot this is it.I gave it a four because of the scope otherwise i love it.buy one, buy your friend one worth the money.